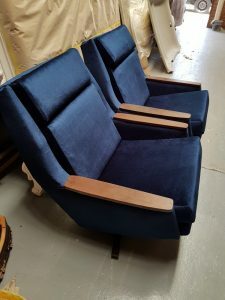 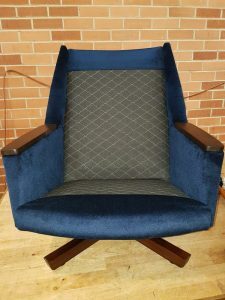 When our client came to us with these chairs, she wanted to completely change the look of them from the old rounded wing back with floral cushions and the vinyl look to a straight back with a deep blue velour and wooden arms. 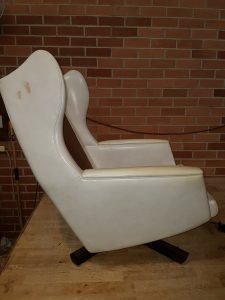 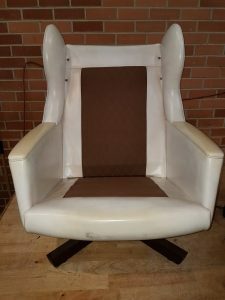 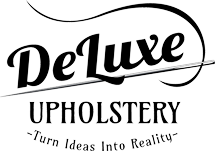 It was a challenge for us as we had to restructure the whole chair, cutting off the wing back and replacing the arm panels with a nice wood finish. 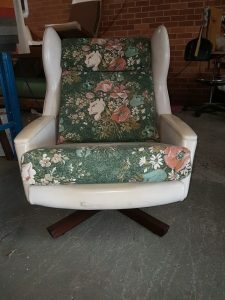 The wooden arms complimented the wooden swivel legs and the choice of material was just royalty!